Advanced clicker training techniques by Kay Laurence. 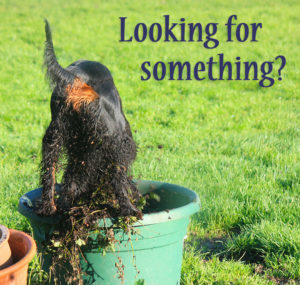 We can teach with exquisite precision and achieve error-less results when we fully understand every component that affects our learners’ learning experience. Quality teaching begins with awareness of our interaction with the learner, and continues with taking responsibility for improving our own competencies, not just those of the learner. 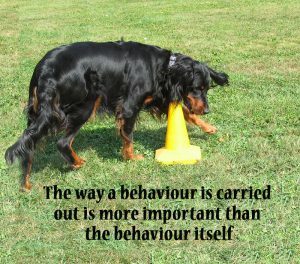 ~ Does it matter how the learner acquires the behaviour? ~ Can the reinforcing process strain the behaviour? ~ Are we teaching the way that learner chooses to learn or just teaching the way we like to teach? 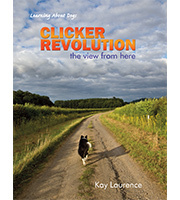 The clicker revolution began with talented behavioural scientists and evolved through hundreds of practioners to where we are today. We are presented with a wealth of principles, theories, strategies and techniques. These are often flavoured with tradition and superstition. Clicker Revolution continues with a critical eye and evolving ethical values, which help us bring to light shadowy areas of protocols that were once accepted as “good enough”. This clarity of understanding, combined with good practice, sets up both learner and teacher for success.